This year, in lieu of taking a winter trip south, we decided to choose a destination closer to home. We packed up our bags and took a weekend trip to Toronto. I find half the fun of visiting any destination is the journey to reach it. Far and away, my favorite mode of transportation is by train and in this case, Via Rail. My wife, Sandy and our son, David, also love taking the train. It gives us family time that can’t be replicated on the bus or car. We boarded the train and watched as Ottawa slowly disappeared in the distance. Even though, Ottawa is a fairly large city, I was surprised how quickly we were into classic Canadian wilderness. Another highlight was seeing Lake Ontario completely iced over. I had never seen that in my life. I guess the huge body of water could not even escape our plunging temperatures in January. Soon enough, we were pulling into Toronto and Union Station. It has been undergoing a face lift with a new food hall in the downstairs area. Renovations are still underway but things are looking much better. The past few trips we have made to Toronto, we have always opted for the Chelsea Hotel. The combination of great location (it is five minutes from the nearest metro) catering to families (David loves the water slide and games room) and the friendly staff have made it a perfect combination. Once we were checked in, it was time to go explore the big city. Working at a library myself, I wanted to visit the Toronto Reference Library. I was impressed by the size and variety of services offered. Perhaps the most unique were glass-enclosed study pods that looked like something straight out of the Jetsons. 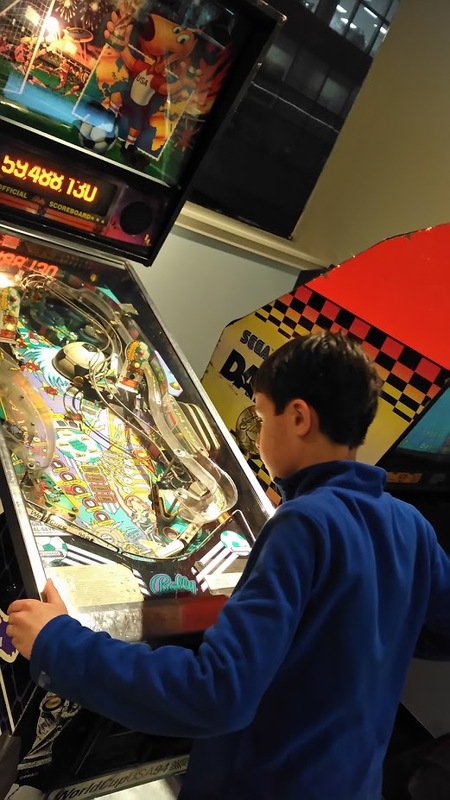 We finished our day with David playing pinball in the teen lounge at the Chelsea. After playing a few games, David wanted to take a dip in the family pool and do a few runs on the corkscrew waterslide. I enjoyed watching David from the comfort of the lounge chairs. The next morning, we had a delicious breakfast at the market garden buffet. My wife and I swear by the coffee. Once we had our caffeine fix, we made our way to the Royal Ontario Museum. We wanted to check out the special exhibit, Zuul which will be on until May 20, 2019. Zuul is a seventy-six million year old anklyosaur dinosaur that was found in amazing condition. The exhibit details every aspect about the dinosaur’s life including many interactive displays. 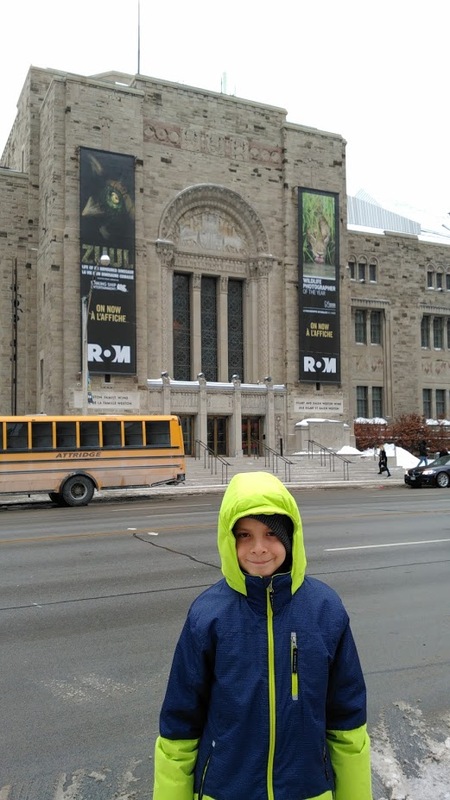 The ROM has special meaning for us because we first visited the museum when David was six. He was at the height of his dinosaur interest. We will never forget how he was able to identify almost every dinosaur and tell us something interesting about that dinosaur. The rest of the day, we took in various tourist attractions around Toronto including the CN Tower and the Distillery District. For our final day in Toronto, we wanted to try something different. Toronto has the largest streetcar network in North America. I have always wanted to ride the iconic route 501 streetcar which goes along Queen Street. Boarding the streetcar, it felt like we were going back to the 1950s or 60s riding an old school red streetcar. There are more modern streetcars as well but we loved taking the classic. It was a great way to see Queen Street as we enjoyed seeing all the funky shops and cafes that line the street. We got out at the corner of Queen and John which happens to be the home of MuchMusic and CTV. As David and I posed for a photo in front of the building, I was swept back to the 1980s as MuchMusic played host to many world-class artists. I wonder if David Bowie and Prince are still wandering the halls. 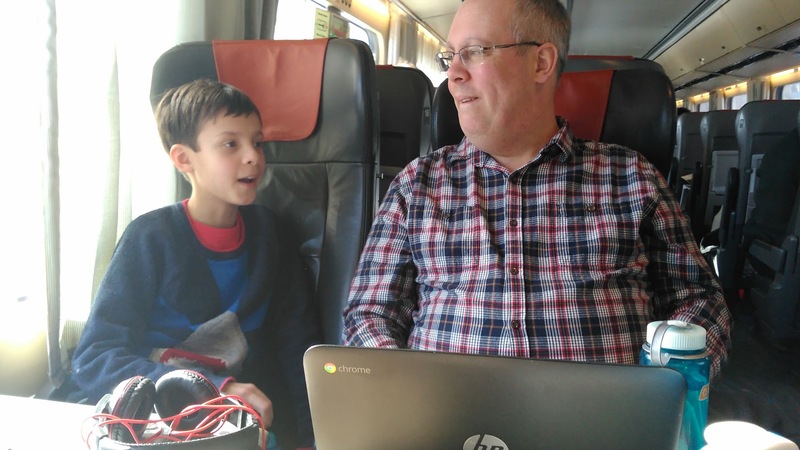 It was time to head back to Union Station and hop on board our Via train for Ottawa. We made a vow to make another trip to Toronto this summer to do more exploring.